Have you ever wondered how it must have felt to dine during the Spanish and American colonial periods? At the Arce Mansion in Vigan, Ilocos Sur, you'll get to experience that, complete with period costumes! As soon as you arrive, you are given welcome drinks and ushered into the costume room. 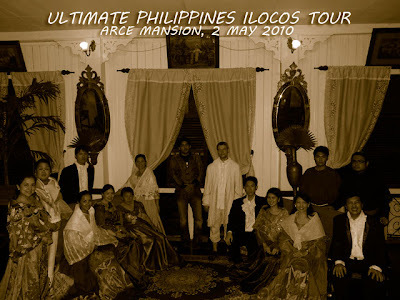 They have a variety of costumes to choose from ranging from wealthy ilustrado garb to the simple indio, a gobernadorcillo, military officer, bishop or monk. 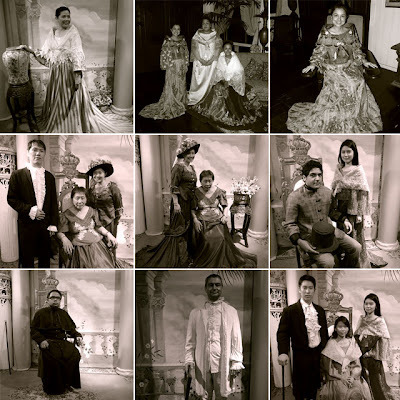 They even have a Chinese costume since Vigan was known to have a lot of mestizos de sangley. You basically come as you are and try out their costumes. Women don't have much problems with costume sizes since they can easily be adjusted. But for male costumes, unless you're on the slimmer side, it might be difficult to find pants and suits your size. So you're left with the religious attire. That being the case, you might want to wear your own black pants so you don't have problems choosing a costume. And although slippers are fine, they don't look good on the souvenir photos (for females, the dress is long enough to cover the feet). So best to wear leather shoes for males. But if you don't mind hiding your feet behind a suitcase, slippers, sneakers and sandals will be fine. After you change into your costumes, you will be ushered into a room for souvenir photos colonial style, complete with all the props which includes large chairs, vases on pedestals and large fans for the ladies. After that's done, it's time for dinner. The dining room is air-conditioned so don't worry about eating in your costumes. They serve local Ilocano food. 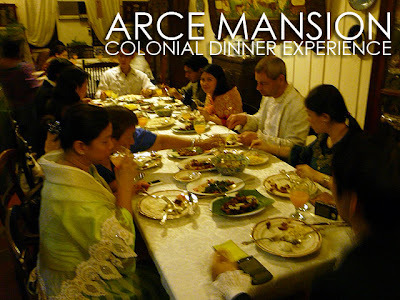 And while eating, you are serenaded with vernacular folk songs. After dinner, you are ushered into the main living room for dessert, tea and coffee, and more photos. It got quite hot. So after the photos, those in the group started changing out of their costumes. This was definitely a fun experience! And Camp Suki does this in Taal, Batangas too! how much do you have to pay? is there a minimum number of persons required? Php1500 per head. Minimum of 5. But best to call to confirm. 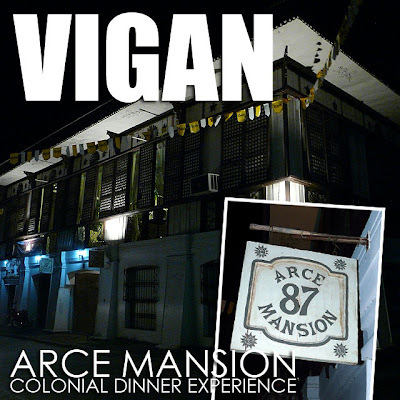 does Php1500 include food and costume already? how's the food taste?